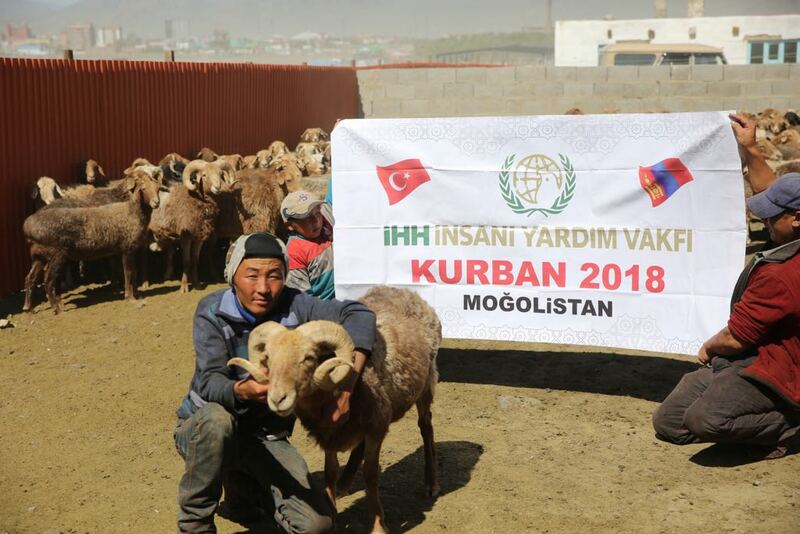 Why sacrifice qurban in Mongolia? We departed for Mongolia late in the evening. As we left the daytime in Istanbul, we were heading for the land where the sun rises. As ours was a connecting flight, we landed in Bishkek, the capital of Kyrgyzstan four hours later. Here there was a practice I had never witnessed before. The attendants told all the passengers to leave the plane with the luggage they were carrying in the cabin. Those who were continuing to Mongolia had to go through a security check again and were boarded onto the same plane and in the same seats. Although none of us understood the logic in this procedure, we did as they said. Then our plane, full of slanted eye passengers, took off once again for Bishkek. Five hours later we landed in Ulaanbaatar, the capital of Mongolia. Ruslan meet us at the airport. Ruslan is a Kazakh Turk who studied university in Turkey and returned to Mongolia 11 years ago. Although he said he had forgotten Turkish, we did not have much difficulty in communicating. When we study the history of Mongolia, we see that the country experienced eras similar to ours. The country that was the land of dispute between China, Japan and Russia for many years, eventually gained independence with the aid of Buddhist priests 1921. In 1926, religious and state affairs were separated, and after the 1930s the priests began to be executed and exiled. Although Mongolia is the world’s most sparsely populated country that is twice as large as Turkey with its area of 1.5 million square kilometers, its population totals 4 percent of Turkey’s population. The population density on the land outside the capital is 1.5 persons per square kilometer. Taking into consideration the size of Istanbul, imagine that only five thousand people lived here, then it would be easier to understand what I mean. However, despite this I was confronted with a more developed country than I expected. In particular the capital Ulaanbaatar, it resembles a developed Russian city with its huge buildings and luxury cars. Ulaanbaatar, which means red hero, is the coldest capital in the world with winter weather conditions reaching -50. The country that was under Russian influence for a long period, inherited the habit of consuming alcohol. Alcohol, which is one of the country’s main problems, is the cause of 80 percent of the accidents. Despite this, there is a serious ban on smoking in the country. 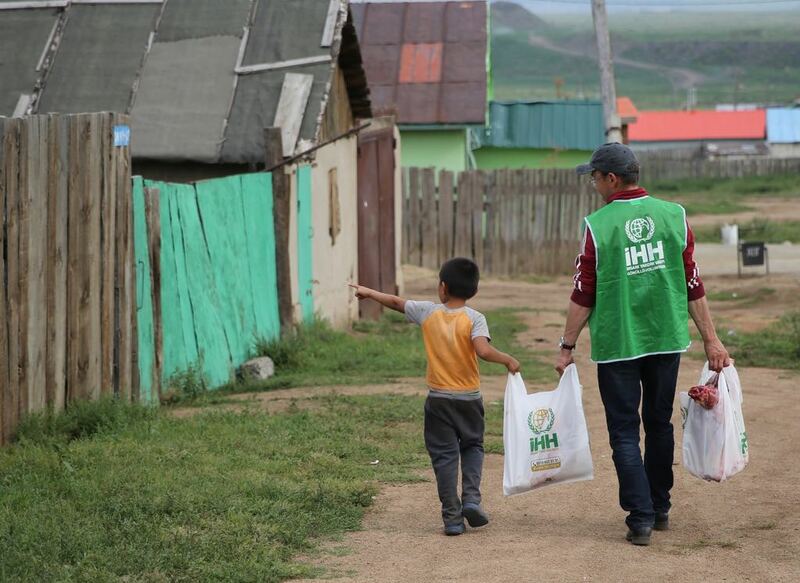 On the first day of eid, we travelled to the Sharingol province for IHH’s qurban operation in the region. 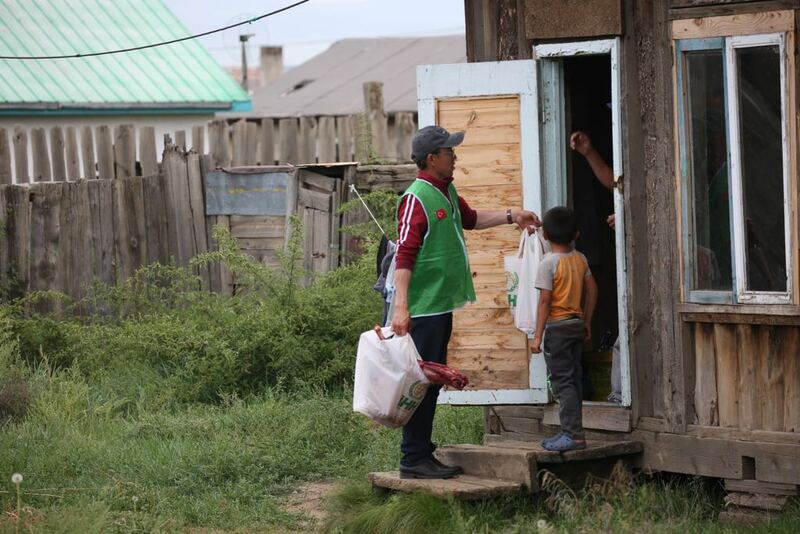 There are almost 400 Kazakh Turks living in this district which is 200 kilometers from the capital. 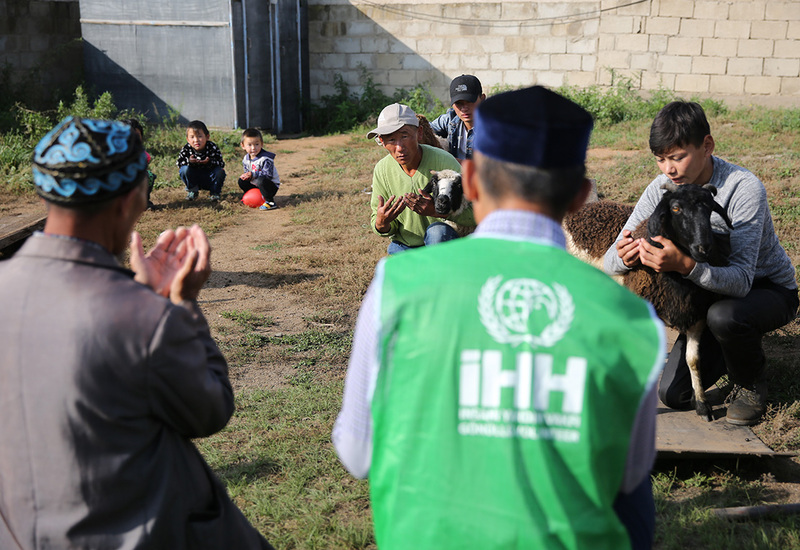 Although their numbers are few, the Kazakhs that are trying to live as a community have forgotten many aspects of their religion. We performed the eid prayers with another 10 people and then we went to the place where the sacrifices were to be performed. In a short while, the Kazakhs who learned we had come to the area began to gather in front of the mosque. On one hand I was trying to sacrifice the qurbans, while on the other trying to speak to the Muslims there. A few hours later all of the Kazakhs in the region were gathered around the mosque. Everyone joined in with the qurban activities and did whatever they could to help. When the imam turned to us and said “thanks to you this is the first time we are celebrating eid together” we were even happier. The regional representative may have explained this, but when we actually came to Mongolia I realized that we had a much greater duty. The people who gathered outside the mosque when they heard we had come and celebrated eid for the first time together were the most excellent example of this. We spoke to them about their hardships. Our guide told us that they wanted a hostel, as the girls and boys were sharing rooms in the hostels there, and this presented a major threat for these youngsters. Our guide, who explained that the people in the Sharingol province walked miles to access water every day, also asked us to build a water well there. We bade our farewells to the Muslims with whom we celebrated eid and listened to their problems throughout the day. The next day we travelled to the Bayan Olgii province which is in the west of the country. Bayan Olgii is a city where a majority of the habitants are Kazakh Turks. In this city almost everyone, including the Mongolians, speaks the Kazakh language and Kazakh education is given in the schools here. We spent the days following eid here. 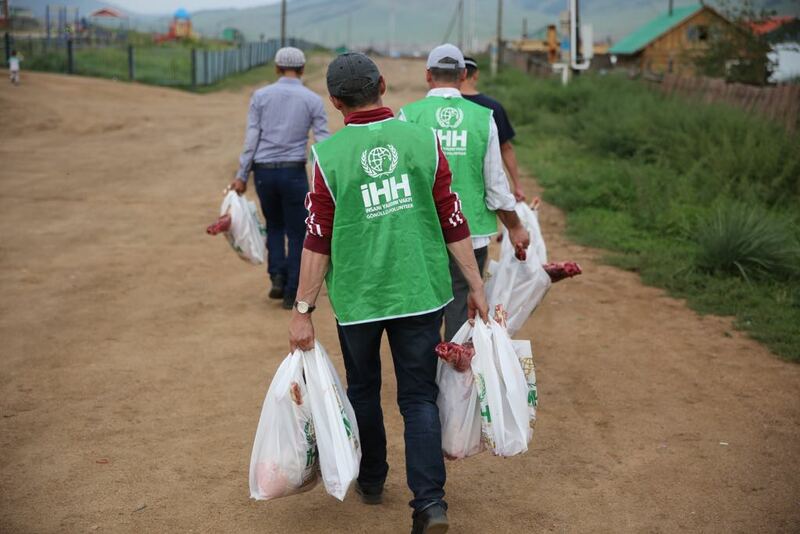 We sacrificed the last of IHH’s qurban shares here and delivered the meat to those in need. It was so amazing to spend eid with Muslims who live thousands of kilometers away, but what I discovered there was quite disturbing. Missionaries who came to the country for aid efforts converted almost 3 thousand homes into small churches.